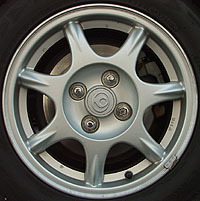 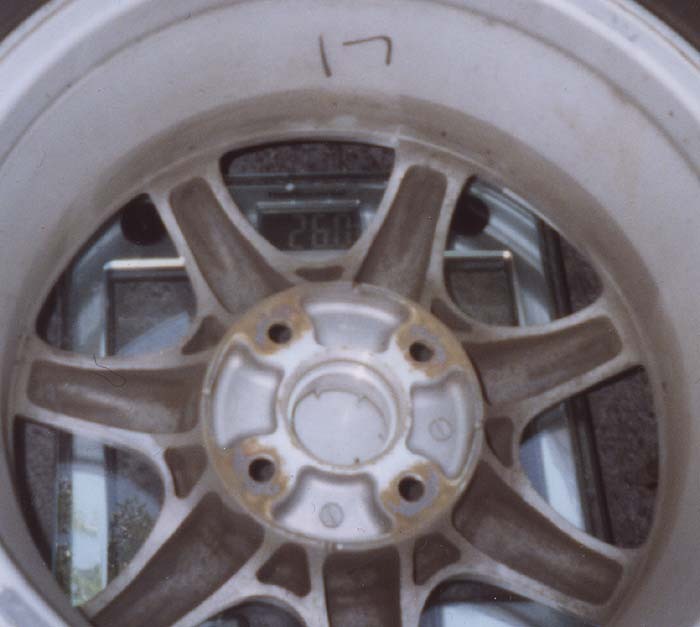 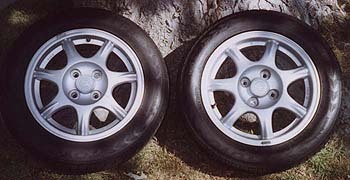 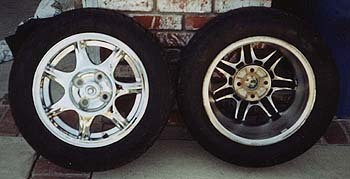 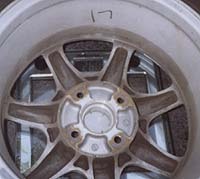 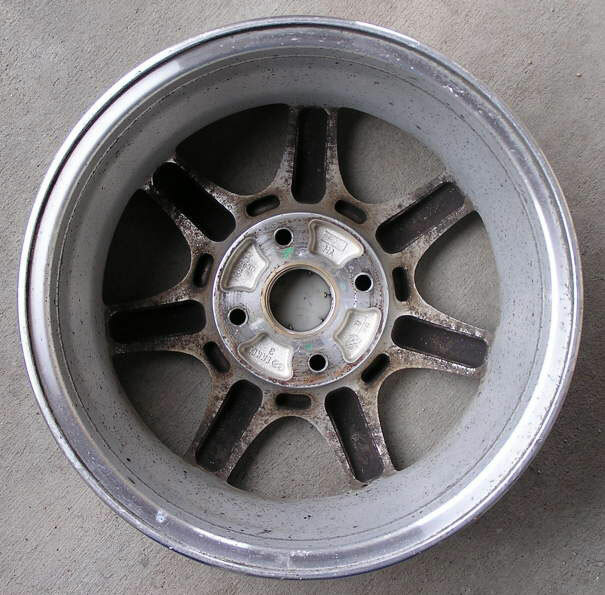 The Hollow-Spoke shown here are from '94 A-package Miata. 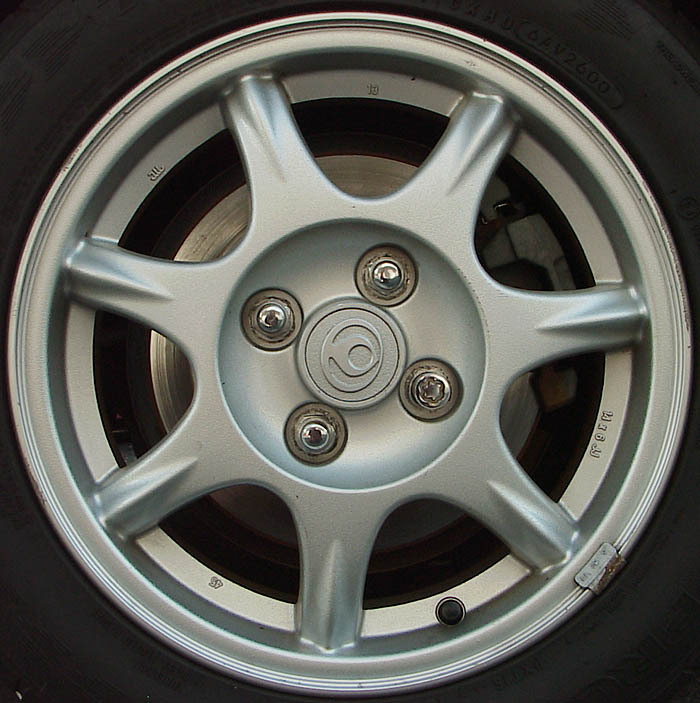 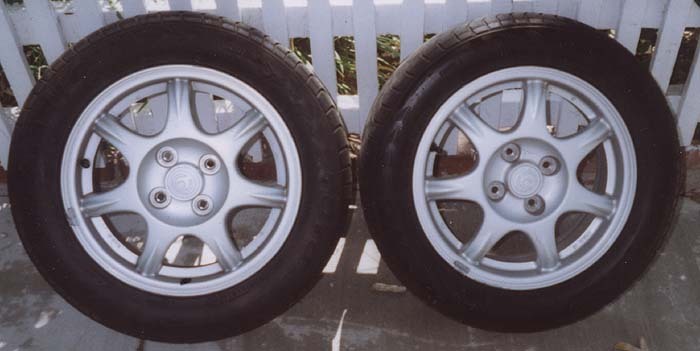 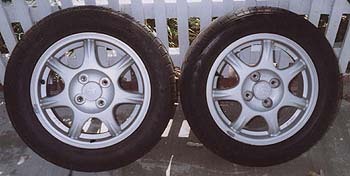 The Solid-Spoke ones are from '94 C-package Miata. 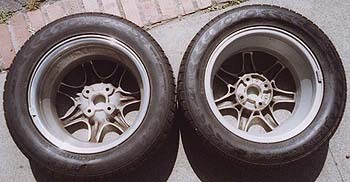 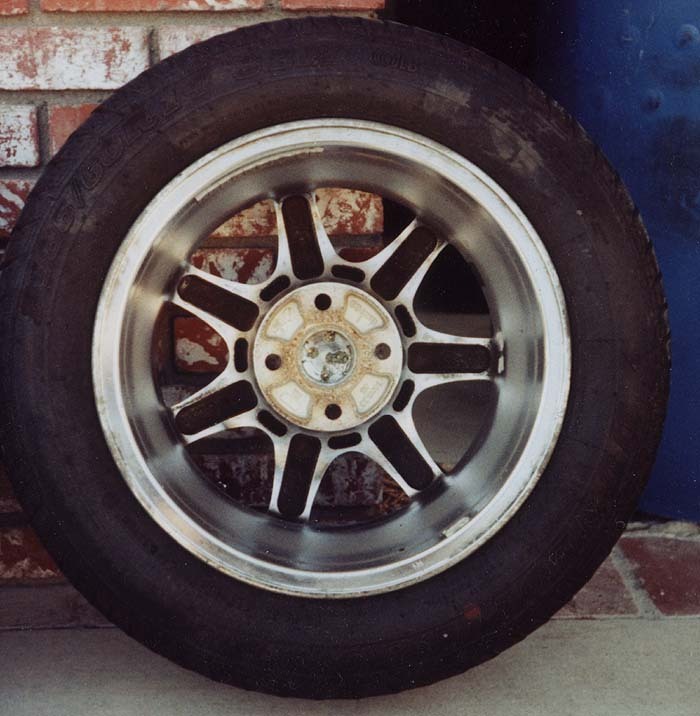 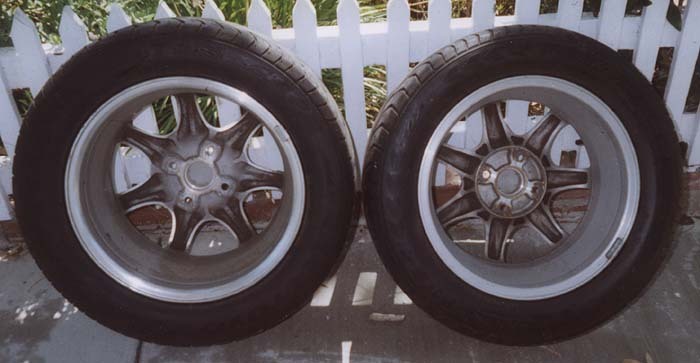 Both Hollow-and Solid-Spoke wheels have the same Toyo T1S 195/55/14 tires mounted. The weight of the Hollow-Spoke combo was 26 lbs and the weight of the Solid-Spoke combo was 28lbs, on the same bathroom scale. Although the scale is not strictly accurate for absolute numbers, it is accurate enough to show the weight difference between the two. 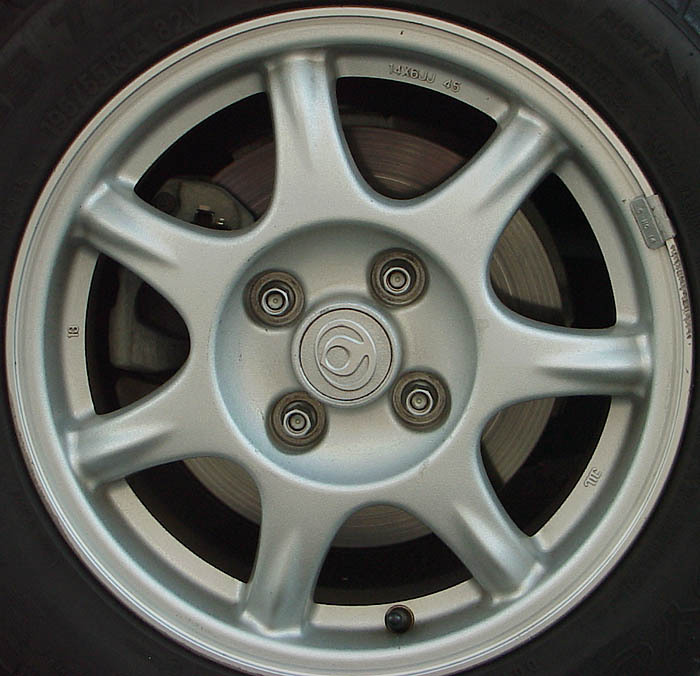 How can the wheels recognized? 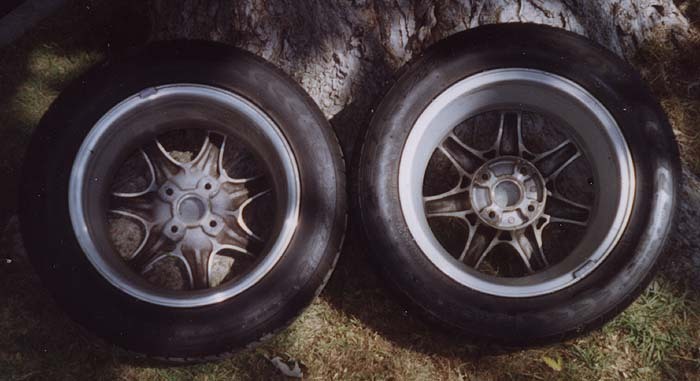 Some people sell the Solid-Spoke (weight around 12lbs) for more money, advertising these as the lighter (weight around 10lbs) Hollow-Spoke version (because both look very similar and both have part of the spokes hollow but can be recognized from each other easy). 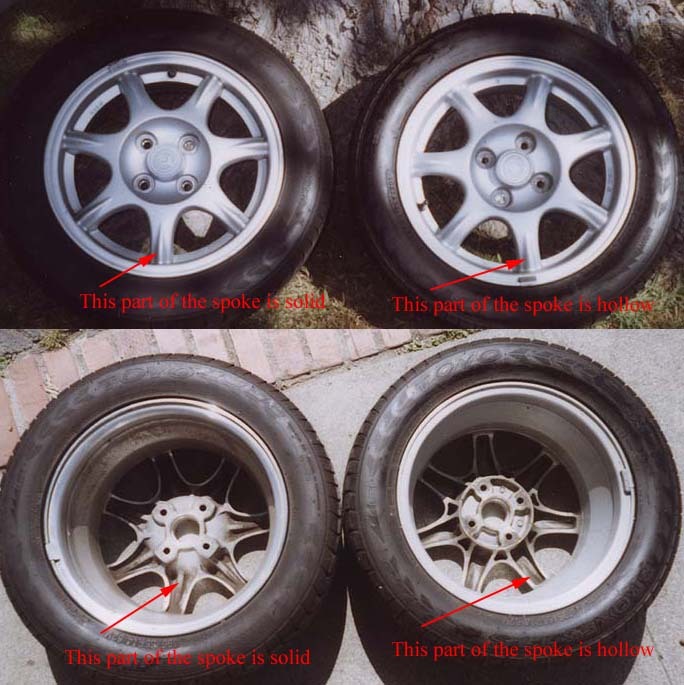 To know which wheels you are getting - check the back side of the spokes and the writings pattern (on the front side between the spokes) and compare to the info/pics below ! 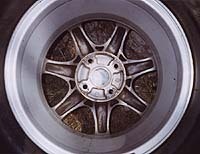 Click on each picture for a bigger version! 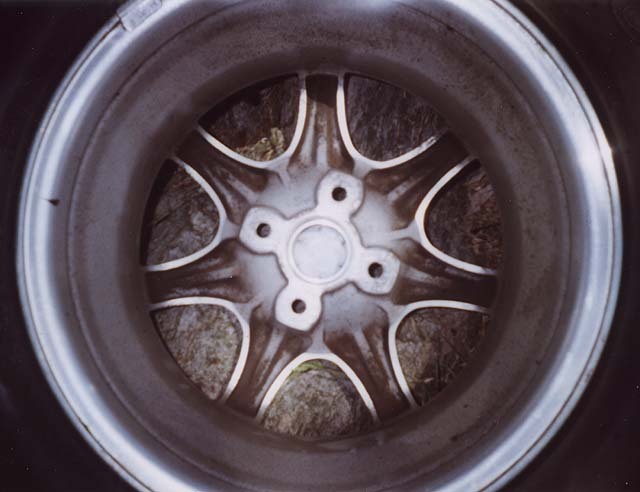 From the front side the Hollow-Spoke wheel can be recognized from the writings between the spokes. 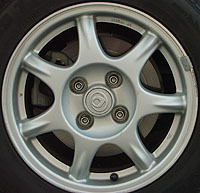 From the front side the Solid-Spoke wheel can be recognized from the writings between the spokes. 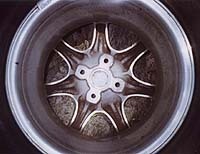 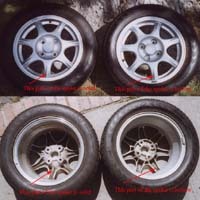 Below is a third kind of wheel which is more rare. 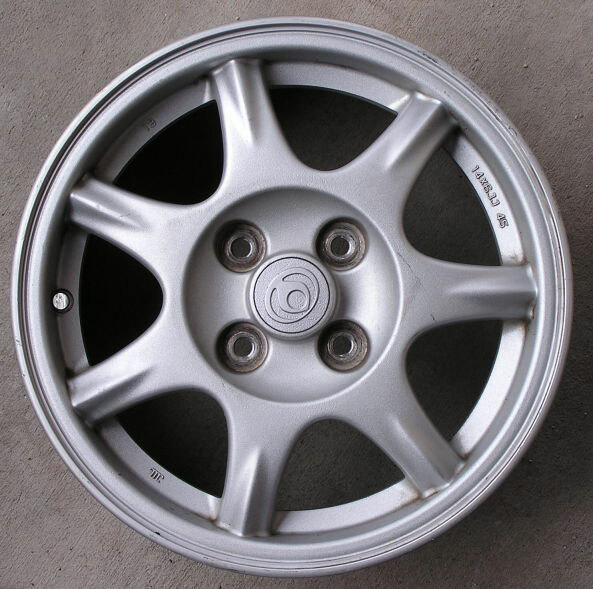 These came stock on a '95 auto-gearbox Miata. 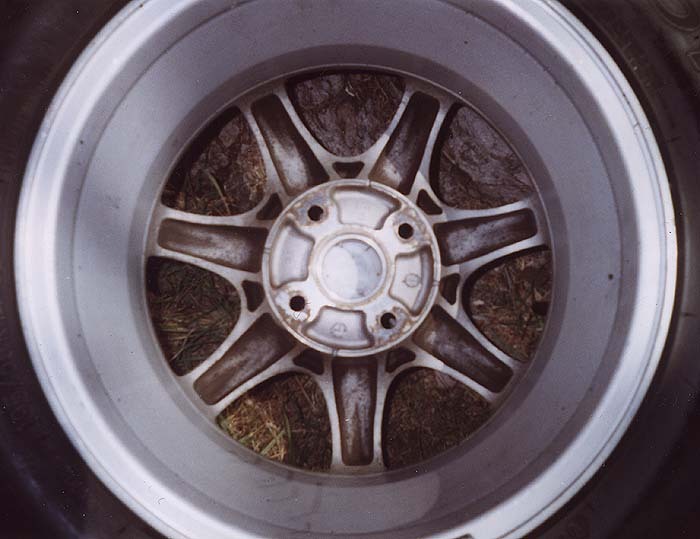 The shape of the back of the spokes resembles the Hollow-Spoke wheels, but is a little bit different - all the holes are smaller, the spoke walls are thicker and the wheels are heavier than the Hollow-Spoke ones. 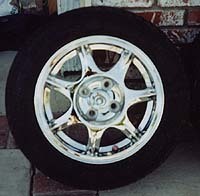 These wheels are not chrome stock. 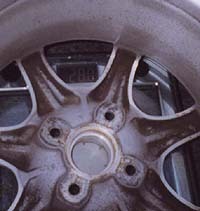 The chrome layer in this case has been done by the Mazda dealer. 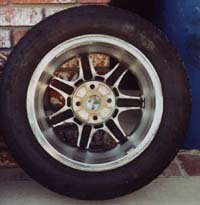 On the back is ENKEI 3, 14X6JJ 45, AJ31 NA, 93/8 31/2.